“”Esports WRC is the first international online World Rally Championship competition. eSports WRC brings the best WRC 5 drivers together for a tournament that lasts from January to October, at the same time as the 2016 WRC season. 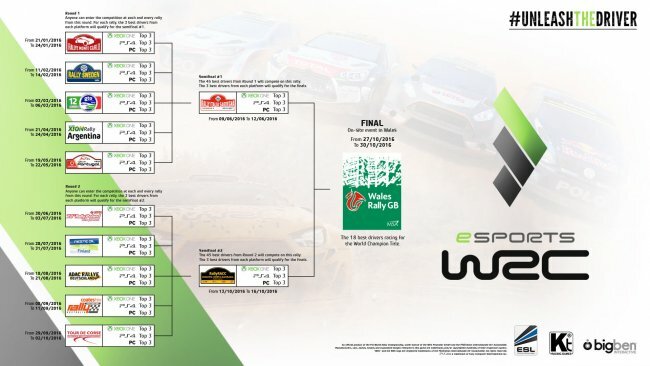 The battle for the esports world title will bring the best WRC 5 drivers together for a tournament from January to October and the on-site finale will be held at Wales Rally GB (27 – 30 October), where the first eSport WRC Champion will be crowned. Starcraft 2 was one of the most popular games ever to be eSported. South Korean players dominated the tournaments but there were even som “outlanders” that fought their way into the GSL league. One of this players is Gregory “Idra” Fields. The documentary below shows his fight to become the best in a tournament that was dominated by four South Koreeans and took place 2011. The documentary won the award for “Best short documentary” at the Las Vegas International Film Festival. Dreamhack releases the official map of dreamhack winter. Dreamhack Winter is held at Jönköping, in Sweden. You can get there in around 3 hours and a half from Stockholm. The date for the event is 27 to 30 November.